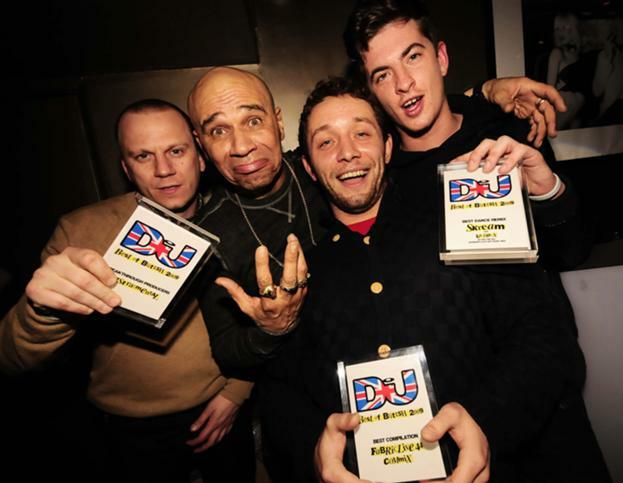 After announcing nominations for the public vote in early November, DJmag host their Best of British Awards on Wednesday 15th December at Shoreditch bar Avalon. A quirky, opulent interior set against the harsh and edgy vibe of Shoreditch High St, Avalon provides the perfect backdrop to showcase the innovative and unique UK dance scene. The night will feature sets from worldwide industry leader and Best DJ nominee Paul Woolford, Radio 1 and drum & bass legends Fabio and Grooverider, Best Breakthrough DJ nominee Jackmaster and Autonomic, aka Instra:Mental and D-Bridge. Best of British will, as always, be an unmissable event for nominees, industry members and dedicated dance music fans alike. With 18 categories covering everything from Best Remix and Best Radio Show to the ultimate accolade of Outstanding Contribution to Music, DJmag’s mission is clear; bring to the forefront those that have tirelessly worked over the last year to improve and progress our enviable industry. DJmag take great pride in their support of the UK scene and never fail to be excited, entertained and overcome by its unfaltering quality. Taking place from 9pm until 2am, brace yourselves for 5 hours of the finest music from across the board. With voting still very much underway there is plenty of time to make your voice heard, and for all nominees to chase their fans for those last few vital votes!